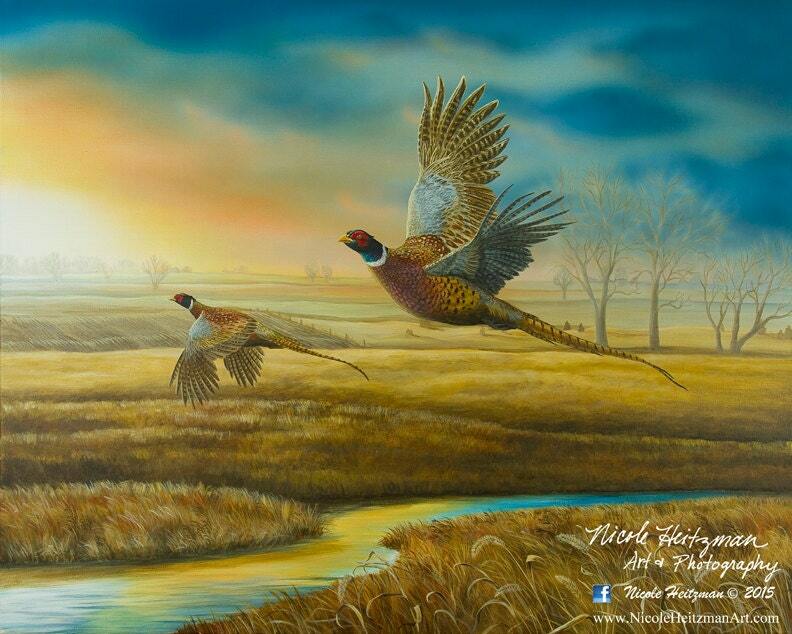 "Pheasant Creek" is a 20" wide by 16" high Limited Edition Canvas Giclee Print. This edition has 300 prints. Colors may vary on screen from the actual print.